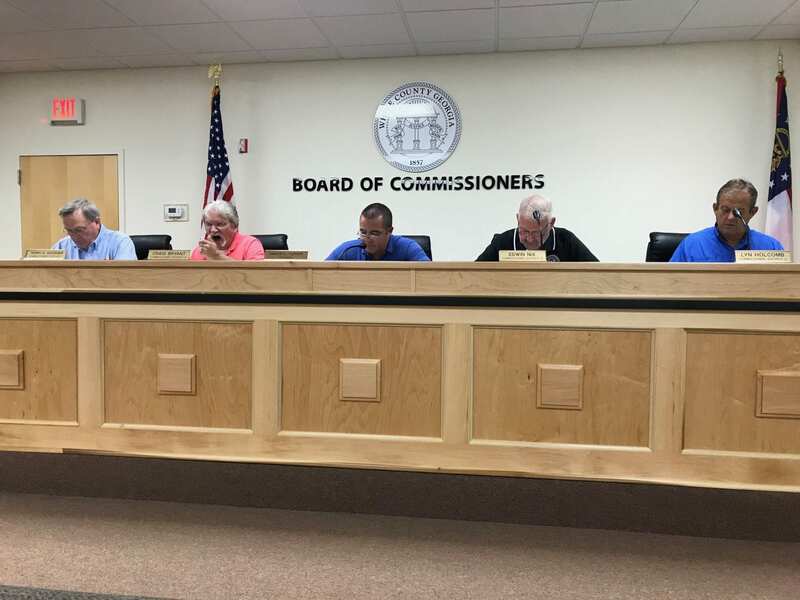 CLEVELAND, Ga. – The White County Board of Commissioners unanimously approved the purchase of two new replacement vehicles from Jacky Jones Ford for the Sheriff’s Office during a morning called meeting Monday. The two fully-equipped police vehicles are a 2019 Dodge Durango and 2019 Ford Taurus that will replace a 2013 Taurus with 180,000 miles and a 2010 Crown Victoria with a total 190,000 miles. The older vehicles will remain in the sheriff’s office pool as backup cars until the county decides to surplus them. Commissioners have discussed the possibility of switching from a fiscal year budget that ends June 30 to a calendar year budget that would end Dec. 31. Clay Pilgrim of Rushton and Company, the county’s audit firm, gave the commissioners a presentation, outlining the pros and cons each. One advantage of ending the budget year on June 30 is that it matches the state’s year-end budget. “That doesn’t sound like a huge deal, but it can be in regard to grants and other state funding,” Pilgrim said. One disadvantage, Pilgrim pointed out, is that the budget must typically be approved prior to the approval of the millage rate and digest. The advantage of a Dec. 31 end to the budget year is budget is approved after the approval of the digest and millage rate, which removed much of the guessing game as far as how much revenue is available for the next year’s budget. Commissioners left a decision for a future meeting. Commissioner Terry Goodger made a motion, which was unanimously approved, to keep Yonah Preserve open seven days a week instead of the previous five. The new hours will be from 8 a.m. through 5 p.m. Monday through Wednesday. On Thursday through Sunday, it will be open from 8 a.m. until 7 p.m.
Chairman Travis Turner announced the county will host the Georgia Mountains Regional Commission meeting on Sept. 27 at 6 p.m. at Babyland General.